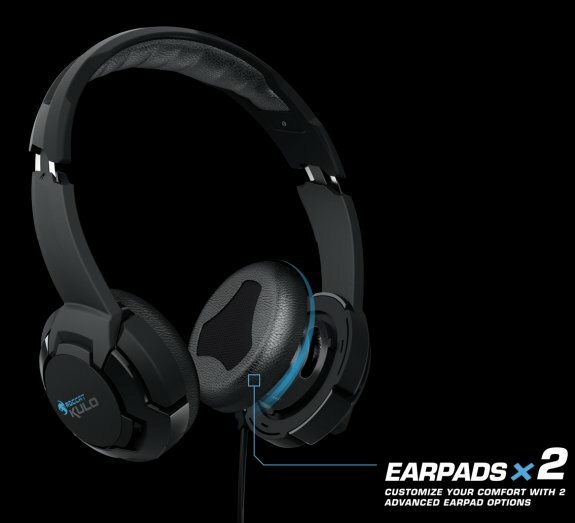 ROCCAT announced the new Memory+ earpads for its Kulo gaming headset. These will be shipped free of charge to any customer who bought a Kulo headset before their introduction. We are now shipping the multiple award-winning Kulo gaming headsets with two pairs of advanced earpads – giving gamers the freedom to customize according to their comfort preferences. What’s more, ROCCAT™ will send the new Memory+ earpads free of charge to any customer who bought a Kulo headset before their introduction. Customers simply have to send an e-mail with their full postal address, telephone number and proof-of-purchase to the email address mentioned on roccat.org to receive the new pads. Kulo enthusiasts can now choose between the original Kulo Classic earpads and the new Memory+ model offering an alternative bass and treble configuration and a more form-fitting padding structure that “remembers” the shape of your ear. Gamers who like softer padding will prefer the new pads. And players who go for less treble and more bass will also enjoy the new Memory+ option. The ROCCAT™ Kulo Virtual 7.1 USB Gaming Headset offers thrilling virtual 7.1 surround sound, providing gamers with incredibly detailed audio that gives them a more immersive experience -- as well as a huge tactical advantage. The ROCCAT™ Kulo Stereo Gaming Headset offers users premium stereo sound packed into a lightweight, flexible and robust design. Both headsets offer a combination of incredible comfort and high-end stereo headset technology.